1) Does SyncApps sync data bidirectionally between my two software? Yes, the SyncApps Platform integrates your data bidirectionally from software A to software B; vice versa as long as the data or field(s) are API-supported. Connecting multiple software is easy using our integration profile system. 2) If I update any fields in my software, will that be reflected or updated in my other connected software? Yes, if these field(s) are configured in Step 4 of the Sync Profile setup then any changed data from software 1 to software 2 will be updated. In most cases, the system of record, software 1, wins the integration war yet in some use cases software 2 can update software. This is pointed out in detail in tooltips in the setup of your integration. Yes, we do migrate all your (API-supported) data even if the data already exists prior to using SyncApps. In some cases, the connecting software 2 will just need to integrate first to software 1 then run the sync in SyncApps. Moving forward software 1, the system of record will update software 2 with any data changes. 4) What software is supported with the SyncApps Platform? See our supported software integrations here below and if needing custom integration email us today to have our experts review it. 5) Can you support my software on SyncApps? 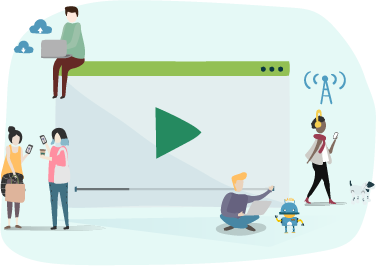 The best way to find out is to reach out to our 24/7 Support team about your requested software so they can check it if it is feasible with SyncApps. 6) When will my requested software or enhancements be available on SyncApps? Once the software or enhancements are feasible, then our product development team will give an ETA on when to roll out the new software or enhancements so that our support team can relay to you this information. 7) My field in my software is not available in the Field Mapping drop-down menu in Step 4 of the Sync Profile, why? Make sure that your fields are under the chosen records type in Step 1(Contacts, Leads, Accounts, etc…). Alternatively, you can tap “Refresh Fields” button in Step 4 of the Sync Profile. 8) Do you offer phone support? Absolutely! Just book a 15-min Free or 30-min paid call with our dedicated Sales Engineers here: www.cazoomi.com/services/ In just fifteen to thirty minutes, the experts at SyncApps can help you narrow down the right software integration for your organization. Do you need more from your integration or have an existing Sync Profile yet need assistance with our Software Experts? Head to our Services Page to get that scheduled by our 24/7 Premier Support staff. We will help you review your SyncApps plans and setup on your schedule. 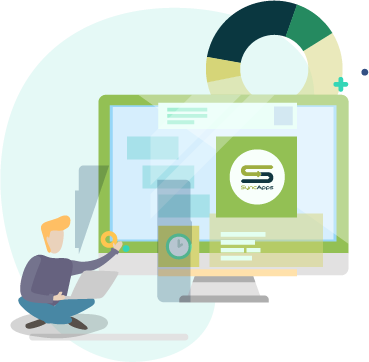 If we afterward determine that your Enterprise plan needs customization, all you have to do is to purchase our Services Package and start syncing together with your uniquely requested custom feature. Isn't that cool? Log in to your SyncApps account and press the Upgrade tab. Then head over to the Services Package and select the Service Plan of your choice or as prescribed by our Development team. If wanting to have a one-on-on setup with our experts, please head to our Services page and purchase our 30-minute Full Setup Plan. Already have set up a Sync Profile? Have a free set up review with our CRM Experts. Have more questions? Get in touch with our 24/7 Support Team today! What does this "Reset Sync Process" button in my Sync Profile page do? SyncApps always tries to sync only modified data between your software applications. This method is a best practice rather than trying to sync all data each time you run your SyncApps. Let's face it sometimes the APIs of different software applications go down so you might not have your marketing Lists populated in time or you need to true up your CRM to your Marketing Automation solution. If all of your data needs to be re-synced, at any time, please click on the "Reset Sync Process" button and during the next sync process, all your data between your software applications will sync. *Please note - you will not lose your previous settings in your Sync Profile. What's the difference between the "Sync Now" button without tapping the "Reset Sync Profile" button? Pressing Sync Now will sync all data anytime you need to yet the schedule will accomplish the same thing just it runs automatically without logging into SyncApps. For Reset Sync Process this feature will look at both systems anew and without looking at cached emails in the system to then match up each again so you can see a full report if you like anytime by using this feature as by default after the first sync runs we only sync changed data based on the timestamp of the record in both systems. How do I find my Sync Profile ID or URL? To find your Sync Profile ID or URL, please press the link to a Sync Profile on your Dashboard. The Sync Profile ID is located right underneath the Summary, and the URL is in the browser next to the "lock" icon and "Secure." SyncApps just keeps getting better. Invoice download is finally here! Newly rolled out "Invoices Resend" on My Account in your SyncApps. Until this year, the only way to get all your invoices was to check your email. This was pretty helpful for getting invoices but if you missed one then what? 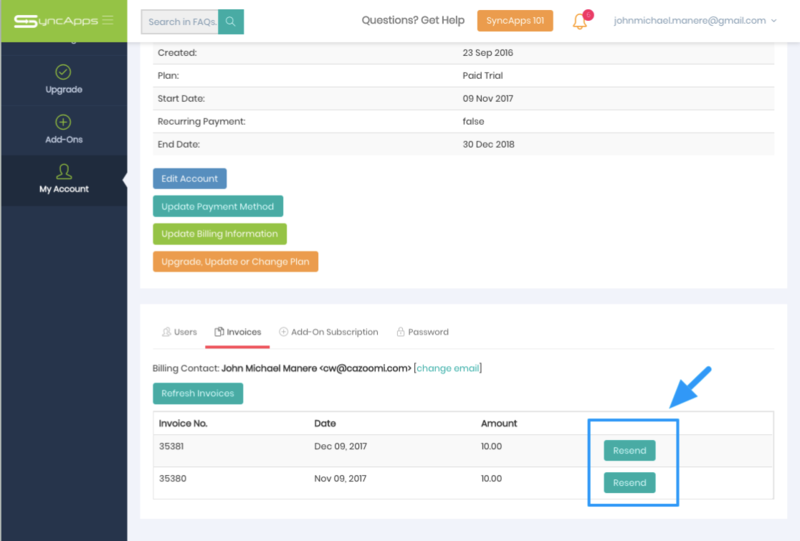 We have rolled out "Invoices Resend" on My Account, so please head to your SyncApps dashboard, press "My Account" to get your last 10 invoices anytime you need them. To get a copy of your invoice the only way in PayPal is to log into your PayPal account and download from PayPal as SyncApps does not maintain PayPal invoices. Pricing Questions: Professional Plan packed with lots of Features! Professional Plan is our subscribers' preferred choice because this plan is packed with all the major features needed plus 5 integrations for their integration needs. Looking for the supported software combinations? Press the "Software Combinations" as seen in the screenshot above on our pricing page. Test out our SyncApps integration today by pressing the "Get 2 Weeks Free". SyncApps will charge your Professional Plan on a monthly or yearly basis depending on which choice you have selected. Add-Ons are charged monthly and Services Package is charged per session. You may also Cancel your SyncApps account anytime. We do also offer 50% discounts for all nonprofits and institutions. SyncApps are billed to your credit card or PayPal on a monthly or yearly basis. You can cancel the subscription at any time, and you won't incur further charges, but you are responsible for any charges already incurred before cancellation. SyncApps offers a Free 14-day trial on all SyncApps solutions. Your first charge will come after you sign up for our Paid plans. You will also be notified by email before your Free trial expires to move to a free or paid plan and will be provided the opportunity to cancel at that time after you are on a paid plan. If you cancel after you are billed, no refund will be issued. You can cancel your subscription at any time by pressing "Cancel My Subscription" button on My Account page to make sure the subscription is Canceled. It is SyncApps policy that customers cancel their accounts themselves. Emails, phone calls and/or voicemails are not an acceptable method of cancellation. If you have more questions, reach out to our 24/7 support team. Does your business needs real-time data syncing? 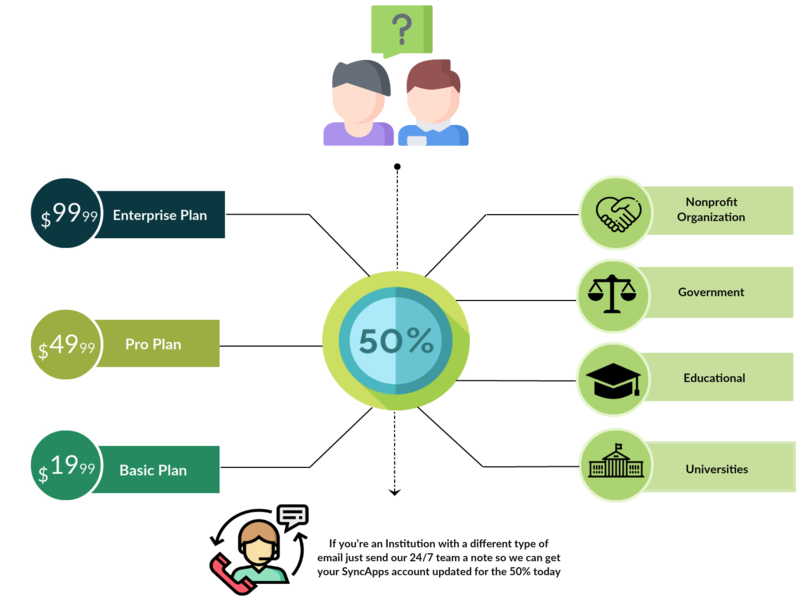 Enterprise plan is the best solution! Packed with all the major features plus 20 integrations of your choice, our Enterprise Plan offers Flexible Sync Scheduling. Looking for our supported software combinations? Press the "Software Combinations" as seen in the screenshot above on our Pricing page. SyncApps will charge your Enterprise Plan on a monthly or yearly basis depending on which choice you have selected upon upgrade. Add-Ons are charged monthly, and Services Packages is charged per session. 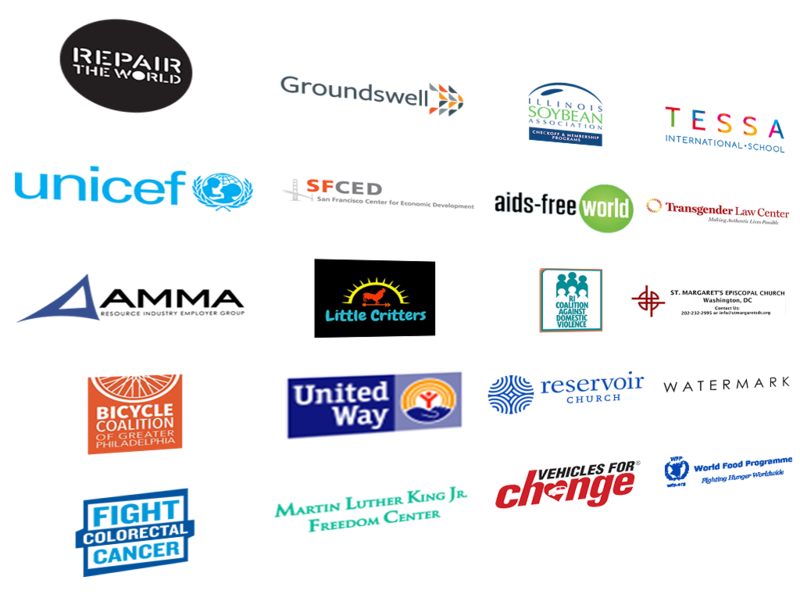 We do also offer 50% to all nonprofits and institutions. 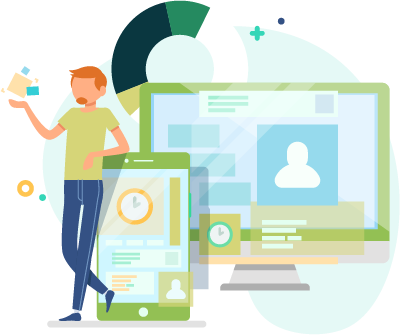 Syncing existing Campaigns from your Email Marketing Automation software such as Constant Contact, Mailchimp, Act-On, Drip, Klaviyo, others to existing CRM Campaigns is not supported. The way it works is simple. You can send multiple Email Campaigns to 1 List in your Marketing Automation software so SyncApps create a tracking campaign to track all metrics. The Campaign created by anyone in CRM is just that, a Campaign that will create a List, Group or Segment. If using Campaign a List feature in SyncApps then each Campaign needs to be created first in CRM to sync with your Marketing Automation software as Lists, Groups or Segments. After that, any email Campaign sent to these Lists, Groups or Segments will create a CRM Campaign of the same name as the email and track all the Campaign metrics from your Marketing Automation Software back to the CRM Campaign. Please also note that CRM record data is synced from your Email Marketing Automation only if the email address doesn't exist in CRM at the time of syncing. An exception to this rule is Mailchimp and others which use webhooks to update existing CRM record data. Do you happen to use Constant Contact in your integration with SyncApps? Our Free Plan is absolutely free. Please note that this plan has limited features compared to our other paid plans so essentially, we sync unlimited records every 24 hours. If needing more features like Field Mapping, List Sync, Campaigns, Filtering, and Scheduling then try our Add-Ons or simply upgrade to any of our Paid-Plans, whichever suits your organization's needs. When you upgrade to free, SyncApps will ask for your credit card details but don't worry, as SyncApps will only charge your credit card if you purchase our Add-Ons or our services Packages. Looking for the supported software combinations for Constant Contact in SyncApps? Press here! Test our SyncApps integration today by pressing the "Get Free Trial" button as shown in the screenshot above. Wondering how to upgrade to Free Plan? Be sure that you have initially run a Constant Contact integration using our Free Trial. After doing so, head back to your SyncApps Dashboard then tap "See your Options". This will then redirect you to our "Upgrade" page. If you have more questions, reach out now to our 24/7 Support Team. Do you offer Nonprofit or Educational discount pricing? Hi there, thanks for visiting us today! Are you wondering if we offer Nonprofit or Education-based pricing? See others just like you who started on a trial and get your own 50% off all our pricing plans! In your SyncApps account, this discount is automatically applied to all .org and .edu Trial emails in our system upon upgrade. Please note that the 50% discount is applied to subscription fees only. Add-Ons and Services Package fees are at their regular rates. If you're an Institution with a different type of email just send our 24/7 team a note so we can get your SyncApps account updated for the 50% today. Check out this question from nonprofits for upgrading and downgrading plans! We are pretty sure that this query relates you and help you to be all set. My nonprofit only sends out Mailchimp emails about 3 times a year. Could we subscribe to the $19/month for only those 3 months? Or, if the 50% nonprofit discount applies to the $19/month rate, then we could afford to subscribe the full year. Thanks and in your use case, might best try our Professional plan if using Salesforce when you need it. Or our Basic plan if using another CRM. Just subscribe when you need to send out an email then cancel and resubscribe the next time this year you all need to send out an email to your clients. Super simple to do with our Upgrade/Downgrade tab in SyncApps. You total plan per month to send email is only $24.99/month for Pro, and $9.99/month for Basic so should work fine for your needs. Hey there, glad you could make it! Have you ever wondered why your integration is taking some time to wrap up? Is your integration still processing and let's say it stays at a specific percentage for over an hour or two? The volume of data being synced such as the number of Contacts, Leads, Accounts, Products and/or Campaign Responses depending on the software being integrated. 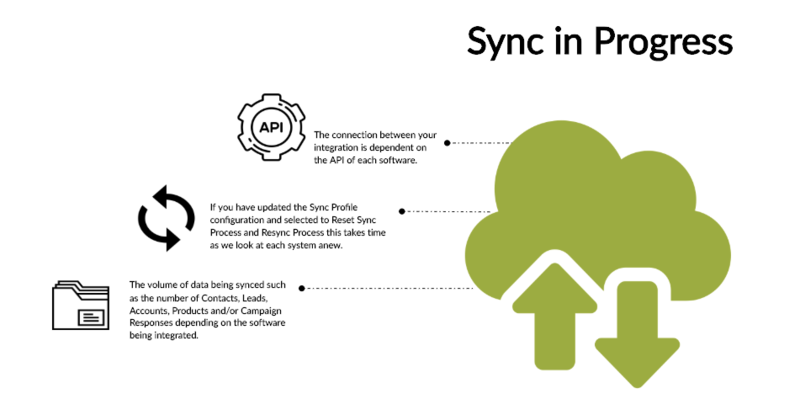 If you have updated the Sync Profile configuration and selected to Reset Sync Process and Resync Process this takes time as we look at each system anew. The connection between your integration is dependent on the API of each software. Stopping your sync while the sync is still "in progress." There are also some instances that when you might stop your sync while it's in progress yet due note that this might take more time to stop due to our SyncApps indexing algorithms. When stopping the sync, it really depends on the size of the database being synced as SyncApps will halt the process by ending all sync processes and making sure SyncApps stop the data sync at the moment you press this Cancel button so that we pick up where you left off syncing on subsequent sync runs. If you've pressed the "Cancel" button and it has been more than 4 hours to stop, then please reach out to our 24/7 Support Team. As stated above "The volume of data being synced such as the number of Contacts, Leads, Accounts, Products and/or Campaign Responses depending on the software being integrated. ", one of the factors why the sync takes longer than expected is the number of Campaign Responses for Campaigns that will land back to your CRM records. Each day, about 12,000 calls for a month-long period of campaigns. 1 campaign has 72,000 contacts on sends. Does this equate to 144,000 API calls for Dynamics? Or is it 144,000 API calls for the sends, 28,800 API calls for opens (20% open rate), 450 API calls for clickers (3% click rate)? It would be 144,000 API calls as for each email address we combine the open, click, forward information into one record. This is why we always need to retrieve whole Campaign Responses from Constant Contact every time as we do not store any Campaign Response data on our server for security compliance. We have already optimized it by updating only records with open/clicked/bounces/forwards data newer than the previous sync. Running into any roadblocks? Reach us out to our 24/7 Support today! Hey there, thanks for stopping by to review how IP addresses work within your integration. Let's take a look at Server IP Addresses that you might need if your requirements for integration rely on them. The above IP addresses also need to be added to the trusted list if you use Salesforce trusted IPs, Apto without Salesforce Token, NetSuite IP address restriction or other IP address based restriction rules. The absolute solution for that is to add the SyncApps IP addresses to trusted networks list. Its solution is to add the SyncApps IP addresses to the trusted networks list. Feel free to email our Support team if you have any problems you need to address as we are excited to have you as subscribers for the next growth build-out at Cazoomi. Thanks again for subscribing and let us hear from you when you have questions, enhancement requests or any issue. We're always working to deliver best practices around SyncApps that are relevant to your business. Now you don't have to look any further than Cazoomi Answers for up-to-date SyncApps advice and integration tips.